An end to mascara testing on animals could be in sight thanks to tiny organisms nicknamed ‘slipper’ and ‘eyelash’. Mascara is a mild irritant, and rabbits have, historically, been used to test how much discomfort new products can cause. However, a cheaper and more reliable test is now being developed by scientists at the University of Liverpool, involving miniscule protozoa. This will remove animal cruelty from the equation. 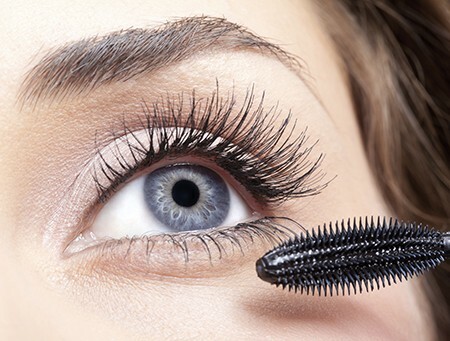 The scientists from the University’s Institute of Integrative Biology were able to examine potential toxicity caused by mascara, based on the growth of the protozoa when placed in experimental chambers containing the cosmetic. Six different brands of mascara were tested, by painting it on small glass plates and placing these in the chambers. The protozoa and their food were then added. The protozoa– the slipper ciliate (Paramecium caudatum) and the eyelash ciliate (Blepharisma japonicum) – were chosen carefully because of their large size, their historic use as model organisms, and their genetic similarities to humans. Their large size enabled the scientists to visually measure population growth using a microscope, and they were able to show that this varied according to the brand of mascara and the amount in the chamber. There was a substantial difference between brands, with some killing the protozoa and others not harming them at all.